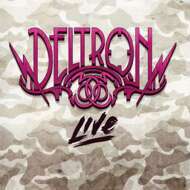 When Deltron 3030’s self-titled debut was released to the music-listening public in the year 2000, nobody anticipated the depth of influence the hip-hop supergroup's debut would command so many years later. And yet the group's members, rapper Del The Funky Homosapien (Deltron Zero), producer Dan The Automator (The Cantankerous Captain Aptos), and turntablist Kid Koala (Skiznoid The Boy Wonder) were hailed as far ahead of their time, and the self-titled debut received high praise from various publications for its high concept science fiction elements and afro-futurist themes. The album's far-reaching influence was all the more apparent in 2013, when the sequel, titled Event 2, was released 13 years later to equal praise, and an acclaimed North American tour which featured a full horn, string, and rhythm section conducted by Dan The Automator himself. In 2016, coinciding with the release of a special edition version of Event 2, the trio quietly rolled out a digital only release of Live, now being issued for the first time on vinyl. This live recording features tracks recorded during their tour in support of Event 2. Del's swift rhymes, Kid Koala's deft scratches, and Dan The Automator's high-end production (And conducting) are in full form on the 11 collected tracks, which feature a cavalcade of guest contributors, Zack De La Rocha (Rage Against The Machine / One Day As A Lion), Mike Patton (Faith No More / Mr. Bungle/ Fantomas), Aaron Bruno (AWOLNATION), Emily Wells, and Jamie Cullum.